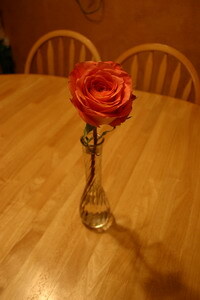 There it lay upon my windshield, a lovely long stemmed rose. I do not know whose hands were used for delivery but I did believe it came from my Savior. The signature merely said, “Love, Jesus”.